Affinityy Review 2019: Is Affinityy Legit or a Scam? With so many ways to save on your online purchases, you shouldn’t have to pay full price when you shop online. That’s exactly why Affinityy was founded. Affinityy gives consumers the opportunity to get cash back on the online purchases they make every day. From groceries to electronics and everything in between, there are hundreds of stores that partner with Affinityy to offer cash back on purchases. Earning cashback on purchases has never been this easy. Right now, you can earn a $20 bonus just for signing up for Affinityy. Check out the rest of our Affinityy review to see why you should sign up today. Click here to get your $20 cash back bonus from Affinityy and start earning cash back on all of your online purchases. How Does Affinityy Make Money? Affinityy was founded with the consumer experience in mind. By partnering with hundreds of the top companies around the world, Affinityy gives shoppers exclusive discounts and cashback options that you can’t find anywhere else. You can earn some serious cash back from your online purchases, and you can also earn with referrals and credit card offers, which we will discuss later in the article. With hundreds of stores and countless cash back offers available, this site has exclusive cash back rewards that you’re not going to find anywhere else. There are so many ways to earn on Affinityy, which means you have the opportunity to earn quite a lot with Affinity’s cash back and other rewards programs. Using Affinityy is incredibly easy. After signing up for Affinityy, you’ll be able to browse the list of cash back offers that are available. You can browse hundreds of different offers at some of your favorite stores, making it easy to get cash back on your online purchases. The site makes it easy to find exactly what you’re looking for. When you do find an offer you want to take advantage of, simply click the offer or the Shop Now button to start your purchase. Complete your purchase like you normally would, then the cashback offer will automatically be added to your Affinityy account. You can have your cash back deposited into your PayPal account or you can have it sent directly to you as a check. Be sure to click the link on the Affinityy site to start shopping, otherwise you won’t get cash back for your purchase. Your cash back will temporarily be placed in a “Pending Cash Back” status for a short period of time depending on the store’s return policy and to allow the system to verify the purchase. When the purchase has been verified, the funds will automatically become available, and you can withdraw through PayPal or via check when you have a minimum of $50 in your account. Affinityy has one of the simplest sign-up processes out there today. Unlike some cash back sites where you have to enter extensive personal information, including your credit or debit card information to link your cards, Affinityy only requires your email address to get started. Once you sign up, you’ll be taken to the Affinityy home page where you can browse offers at your favorite stores. We like Affinityy’s sign-up process because it doesn’t require you to enter personal information. All you need to start getting exclusive cash back offers on your purchases is an email address. You’ll also get a $20 bonus just for signing up for Affinityy. Affinityy partners with hundreds of stores, meaning you’ll be able to find a cash back offer for some of your favorite places to shop. Some stores include Ray-Ban, Old Navy, H&M, GameStop, Jet, Groupon, Walmart, and so many more. You can search stores by category or you can browse all of the stores on one page, making it simple to find exactly what you’re looking for. With each store that’s listed, you’ll see the amount of cash back that you’ll receive for your purchase. There’s also the option to earn even more cash back with Premium Cash Back. Each store has a minimum purchase threshold to unlock additional cash back. While some Premium Cash Back offers are one to two percent more in cash back, others can double or even triple the standard cash back offer. Offering stores in 14 different categories from pets to travel and everything in between, Affinityy has a ton of cash back offers from your favorite stores. Not only can you get cash back from the purchases you make online through Affinityy, but you can also earn cash with exclusive credit card offers. You can earn up to $50 cash back through Affinityy when you apply and get approved for a credit card through the Affinityy site. That means you’re getting paid to apply for a credit card, and applying to a credit card through the financial institution’s site probably won’t pay you cash for signing up like Affinityy would. 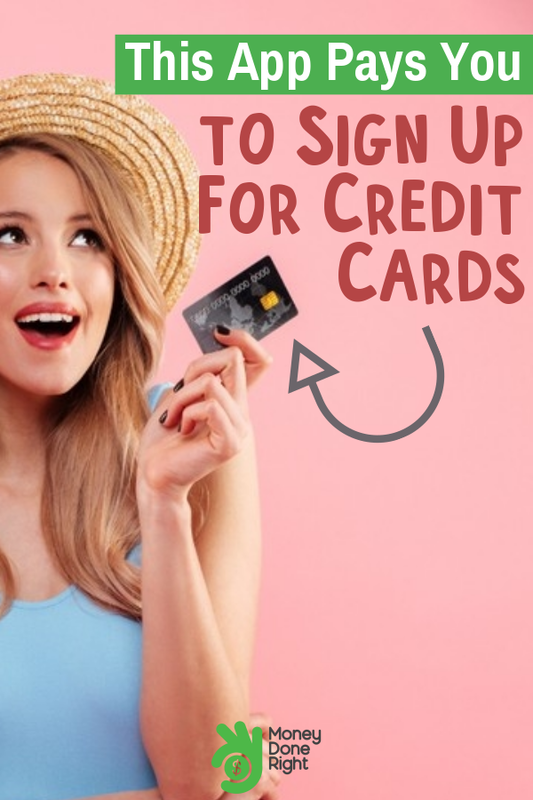 You’re getting the credit card that you want and earning some extra cash just for signing up through Affinityy’s site. Once you apply and are approved for the credit card, your $50 will be deposited into your Affinityy account within 5-10 business days. The cash bonus is on top of the benefits you get with your credit card, such as cash back on purchases, an introductory APR, or balance transfer options. No matter what kind of credit card you’re looking for, you’ll be able to find it on Affinityy and get up to $50 just for signing up. On top of your cash back for shopping and your cash bonus for signing up for a credit card, Affinityy has two additional programs that you can use to earn money on the site. The first is the Share & Earn Program. This program was designed specifically for consumers who are active on social media or those that have successful blogs, but anyone can sign up for this free program. With Share & Earn, you can create unique affiliate links that you can share on your social media accounts. Every time someone clicks on your link and completes a purchase, you earn cash. You can track the performance of your Affinityy affiliate links right on the Affinityy dashboard so you know which ones are doing well and which ones you might want to update or change. There are no restrictions to the Share & Earn program and anyone with an Affinityy account can sign up to start earning with unique links. The program is also completely free, and there is an option to pay $6.99 per month to earn twice as much on your qualified sales. This is an excellent option if you’ve tested out Share & Earn links on your social media accounts or your blog and have experienced consistent sales. The second program that you’re able to use to make even more money through Affinityy is the Affinityy referral program. When you refer your friends and family, you can earn up to $25 for each successful referral. You earn money when your referrals complete tasks, and the more referrals you have, the more you earn. You’ll earn $5 when your referral earns their first $5 in cash back, which is the easiest way to earn through the referral program. You’ll earn another $5 when your referral makes their first premium purchase of at least $250. Finally, you’ll earn $15 when your referral signs up for a credit card through Affinityy. There are a few ways to refer your friends to Affinityy, including email or with links on social media. Simply enter an email address on the referral page to have a custom referral link straight to their inbox. You can also generate your own unique referral links for your social media accounts, making referrals simple and lucrative. Affinityy is very up-front about how they make money, which isn’t something you see with every cashback site. You’ll see clear disclosures throughout the Affinityy site stating how they earn money. When you make purchases online through the Affinityy site, Affinityy gets a portion of the sale. Businesses partner with Affinityy to provide exclusive cash back offers to consumers, and Affinityy gets a portion of the sale for generating the lead for the store, making it a win for everyone involved. Consumers get cash back offers, companies get increased sales and website traffic, and Affinityy gets a small portion of each sale. These partnerships also allow Affinityy to offer bonuses for signing up for credit cards, as well as the referral bonuses. With Affinityy, there are plenty of ways for everyone to earn money. 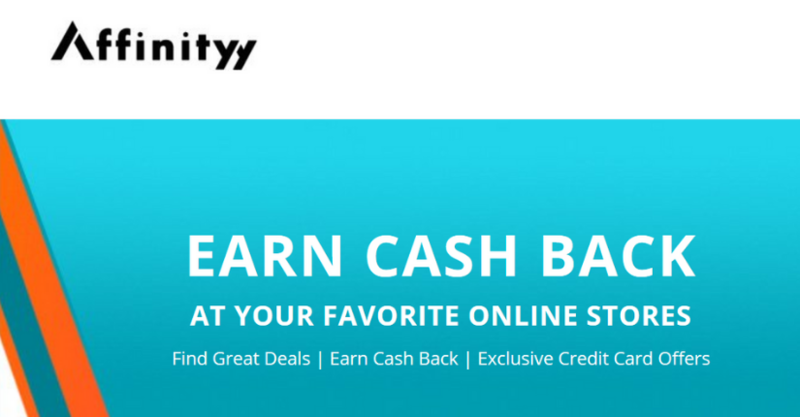 Affinityy is a fantastic cashback site that offers a lot of great options for consumers to earn cash back at their favorite stores. While this may sound too good to be true, Affinityy is a legit way to earn cash back through shopping, credit cards, affiliate links, and referrals. Signing up takes just a few minutes and does not require any sensitive personal information. The $20 cash back bonus is loaded into your account as soon as you sign up and will apply to your first qualified purchase, meaning there’s nothing else you need to do to redeem that $20 bonus other than shop online through Affinityy. Affinityy partners with some of the top companies in the world and has helped countless online shoppers earn cash back at their favorite stores. If you’re looking for a way to save money when you shop online, Affinityy can help you do just that. With hundreds of exclusive cash back offers at your favorite stores, it’s never been easier to get cash back when you shop online. The website is incredibly simple and straightforward to use. Simply browse offers, select the one you want, and complete your purchase like you normally would. There’s no need to scan items or upload receipts like you would with other cashback sites, and you don’t need to connect your debit or credit card information directly to Affinityy, which means your information is completely safe and secure. Whether you’re looking to shop online or apply for a new credit card, you should definitely check out Affinityy to earn cash back rewards for the things you’re already doing online.